Product prices and availability are accurate as of 2019-04-15 08:12:42 EDT and are subject to change. Any price and availability information displayed on http://www.amazon.com/ at the time of purchase will apply to the purchase of this product. 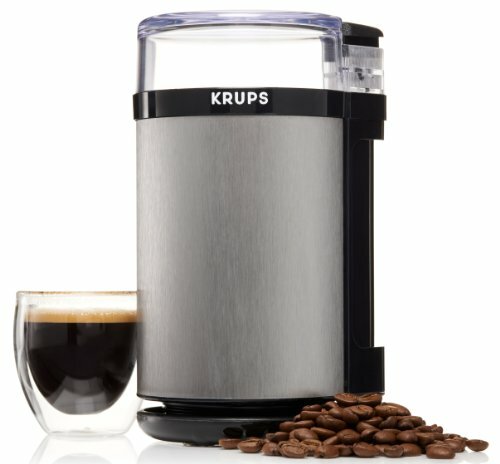 Grind whole coffee beans in seconds with this powerful KRUPS GX4100-11 coffee, herb, and spice grinder. 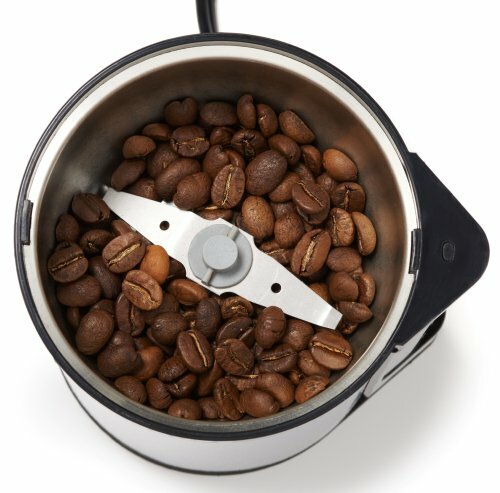 The round-shaped grinder offers a large grinding capacity that yields up to 15 cups of coffee, while its precision stainless-steel blades ensure even results. Use the pulse-action button to customize the consistency—from coarse to fine. For safety, the blades won’t spin without the lid securely in place. 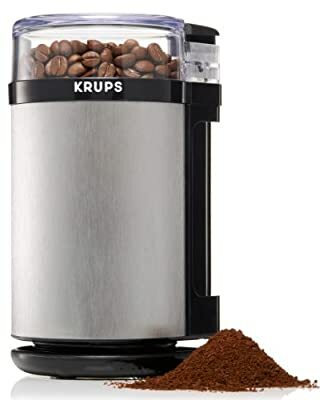 The grinder makes it easy to enjoy the rich aroma and delicious full-bodied flavor that comes with brewing coffee from freshly ground coffee beans. 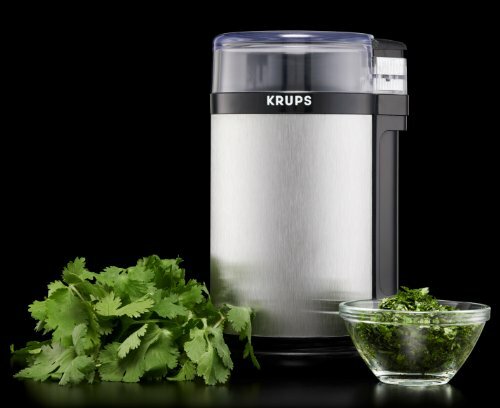 In addition to coffee beans, the versatile grinder can also be used for mincing fresh herbs and dried spices or chopping or grinding nuts and seeds. 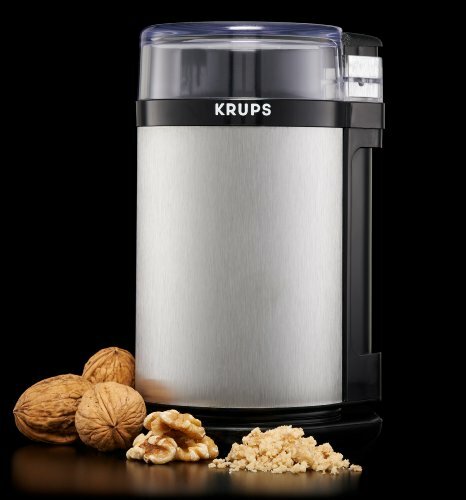 With its brushed stainless-steel finish, the KRUPS spice, herbs and coffee grinder offers attractive, everyday convenience.